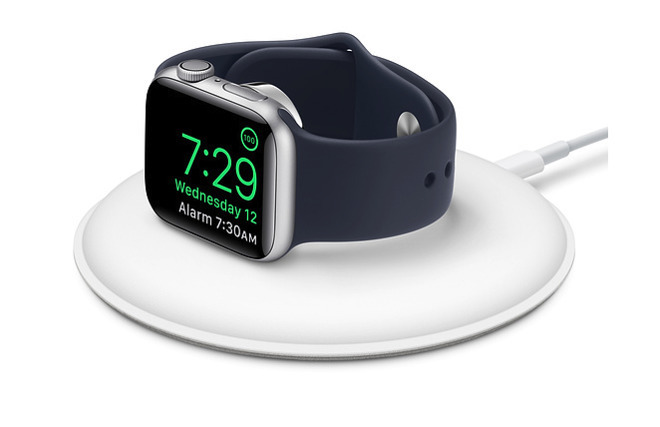 Apple has released an updated version of its Apple Watch Magnetic Charging Dock, but while the wireless charging accessory has gone on sale, it is unclear exactly what Apple has done to it to warrant releasing a new version of the charger. Appearing in the online Apple Store, the Apple Watch Magnetic Charging Dock offers practically the same functionality as the original, offering a place for users to rest their timepiece while the battery is topped up. 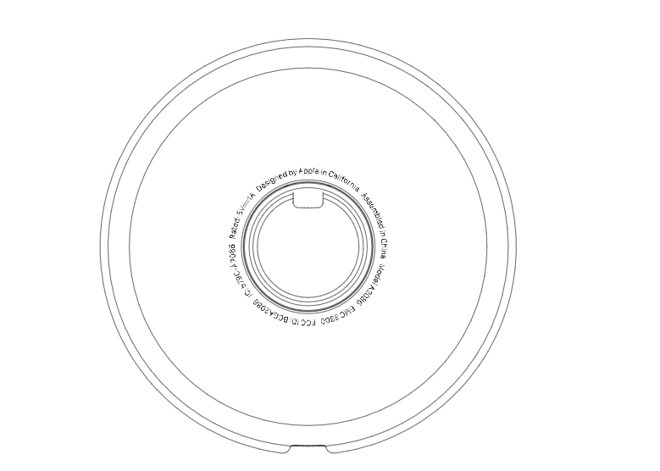 Larger than the standard charger, the circular charger can be used with the Apple Watch laid flat, or the central charging section can be raised so that the Apple Watch screen can still be viewed in nightstand mode. The main sign that this is a new charging dock is the change of model number, as while the original had the number MLDW2AM/A, the new version bears the model MU9F2AM/A. Apple no longer stocks the old model in its online store, with consumers only able to buy the updated version. It is unknown what is new in this version, as an FCC filing related to the accessory reveals no major changes in its RF testing, with the unit continuing to be able to output power at a maximum of 5 watts. The filing also reveals Apple requested the FCC withholds schematics and details of the antenna specification from public view, citing the need to keep trade secrets confidential, making finding out what has been altered a much harder task. The fact that it has undergone testing does suggests some sort of internal refinement, as FCC regulations require documentation changes when transmitting power has been altered with no engineering changes, or if a product has changed sufficiently enough to justify new RF tests. This could include refinements to the antenna design used for transmitting power to the Apple Watch, the use of new materials in the transmitter, a capacitor array change, or any number of smaller alterations that don't necessarily introduce new features. Apple is selling the new Apple Watch Magnetic Charging Dock for $79.